The prominence of the nose has made rhinoplasty one of the most popular forms of male plastic surgery today. Especially for men, rhinoplasty can bring dramatic results. Dr. Ben Talei, a dual board certified facial plastic surgeon at the Beverly Hills Surgery Center for Plastic and Laser Surgery, offers state-of-the art rhinoplasty for men. Male rhinoplasty can improve the overall appearance and function of the nose with natural and undetectable results. Dr. Talei’s procedures can correct a short or long nose, increase the tip length or just refine it, reduce the nasal bridge and eliminate a nasal or dorsal bump. Whether your irregularities are the result of an old sports injury or a scuffle in college, Dr. Talei can provide natural, unnoticeable results. He will restore balance and symmetry to a man’s face without taking away his masculinity. Several factors must be considered and discussed during the surgical consultation. Skin type and ethnicity, the level of deformity as well as the overall function of the nasal structures are all important factors. All of this information as well as explaining your goals for the surgery help to determine the right procedure for you. Rhinoplasty has two different approaches. The open procedure is one that requires a small incision across the nose to make the needed cosmetic changes. Meanwhile, the closed procedure can be performed entirely inside the nose without leaving any external scars or incisions. 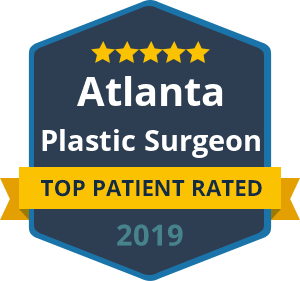 Dr. Talei has the expertise, attention to detail and surgical skill-set to perform a rhinoplasty surgery that will make a more natural looking nose. This is while maintaining the functionality of the airways. He also has dual fellowship training in facial cosmetic and reconstructive surgery and vascular birthmarks and congenital anomalies with laser surgery. Contact our male rhinoplasty specialists at the Beverly Hills Center for Plastic & Laser Surgery today for a consultation with Dr. Talei.